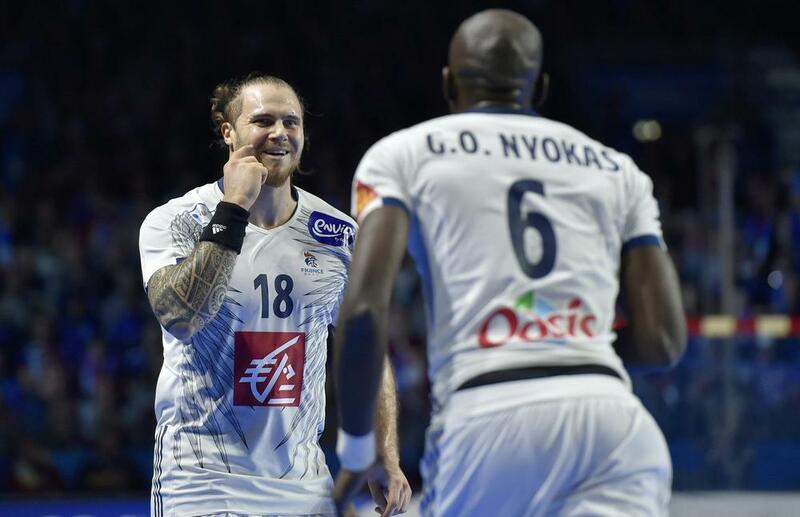 Defending champions France cruised to a 31-19 win over Japan for a second victory in two games at the world handball championship on Friday but their joy was tempered by injury to star player Luka Karabatic. The pivot of the champions suffered a right foot injury and was replaced although an outclassed Japan were unable to build on his absence as France kept up their perfect record after an opening 31-16 win against Brazil on Wednesday. "The injury was the only negative thing in the match. Luka will have a scan on Saturday morning," said coach Didier Dinart. Ludovic Fabregas, just 20 years old, took the chance to shine in Karabatic's absence with the Montpellier man scoring seven goals in a man of the match performance. "I tried to do all I could in attack. We hope that Luka will be back with us soon because he is our team's major player," said Fabregas. The last time the two sides met an international tournament was at the 1997 worlds where France needed a goal on the buzzer to win 22-21. Since that time, Japan's progress has stalled and they are expected to use the world championships as useful preparation for the 2020 Olympics which they will host. Their problems were highlighted on Friday when from the end of the first period to the early stages of the second, they scored just once in 20 minutes. European champions Germany began their campaign with a 27-23 win over Hungary thanks to 13 goals from Uwe Gensheimer and 14 saves by keeper Silvio Heinewetter. Olympic champions Denmark, who beat France in the Rio final for the gold medal last summer, started with a 33-22 victory over Argentina. World player of the year Mikkel Hansen scored six goals from eight shots for the Danes.